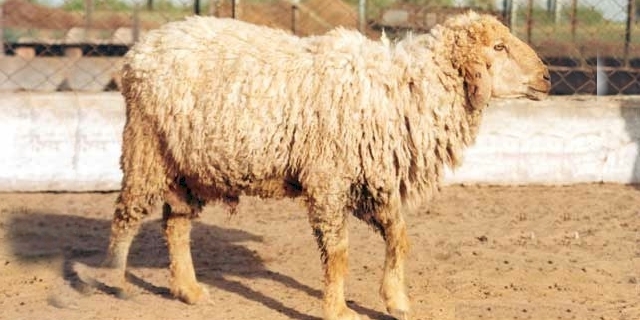 Marwari sheep are from Marwad, India. They are similar to black-headed Persian sheep but they are smaller and have better fleece. They are found in the Jodhpur, Jalore, Nagaou, Peli and Barmer districts, extending up to Ajmer and Udaipur districts of Rajasthan and the Jeoria region of Gujarat. They are being improved through selection for fleece weight and carpet quality.